Catalyst, Collaborator & Game Changer. After presenting the idea of GRAMMY Camp and the curriculum for a dedicated Film Scoring Career Track to the NARAS Los Angeles Board - Mike Knobloch called the next morning and said, "I'm in!" Exploration into the aural and visual experience as it relates to scoring for film; including all aspects of scoring from a historical, technical, and musical perspective. This track utilized recent film clips and production audio from the 20th Century Fox Film library. Composers created, prepared and conducted a full orchestral score combining a digital orchestration using Logic, Pro Tools and Finale software with a 30-piece professional orchestra at the Newman Scoring Stage. Film Scoring Campers received a mastered DVD of the completed score with picture (music and picture only), score with picture and the original production audio and film clip with the original score as a comparison and reference. In addition, composers orchestrated arrangements for the Songwriting projects that were recorded and performed live at the Showcase Concerts. Juggling a successful professional composing career and his company Sonic Fuel Studios - Emmy Nominated and GRAMMY Winner - Christopher Lennertz was focused as an exemplary teacher and mentor to the Film Scoring and Video Game Music Campers every day in preparation and all recording sessions. Video Game Music Career Track provided the composer an opportunity to compose an original, non-linear music excerpt for the interactive gaming environment. 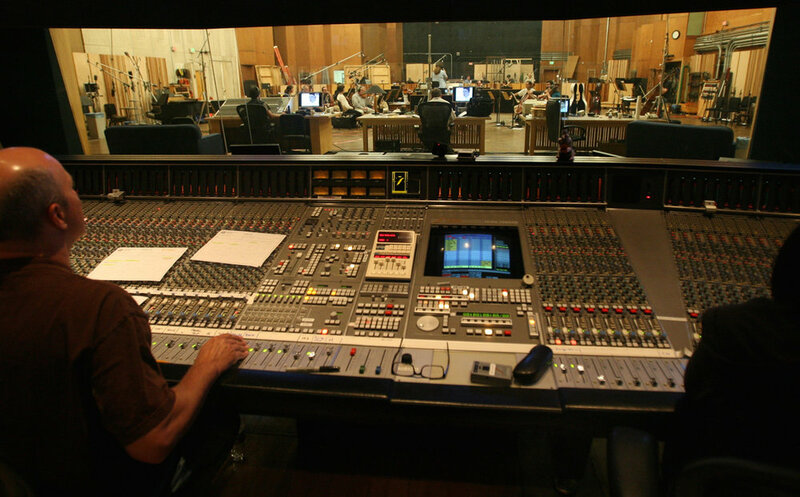 Using EA Games as the backbone of the experience, composers created, prepared and conducted a full orchestral score combining a digital orchestration along with the film composers. Students toured and worked with Electronic Arts engineers at EA Los Angeles to learn how music elements are linked to video games. Video Game Music Campers received a mastered DVD of the completed score with video game (music and video game only) score with video game and original production audio and the video with the original score as a comparison and reference. In addition, composers orchestrated arrangements for the Songwriting projects that were recorded and performed live at the Showcase Concerts. 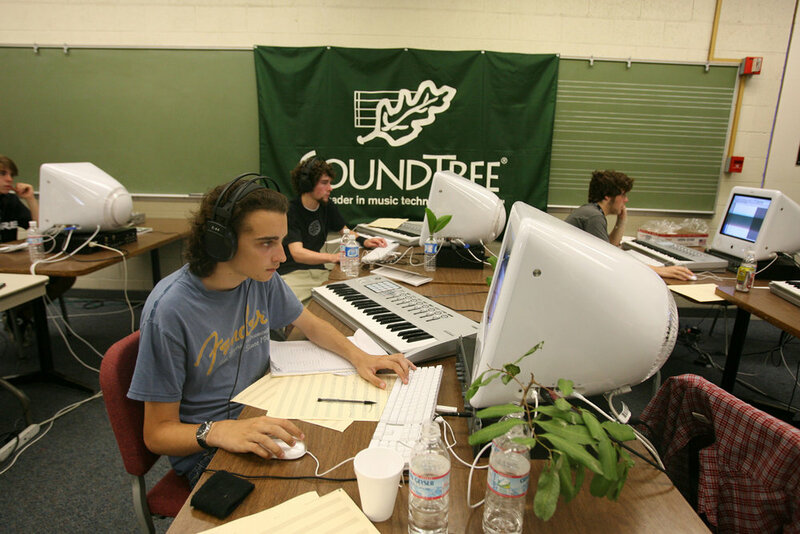 Camper composes his version of the soundtrack using Apple Logic and ProTools at Citrus College. 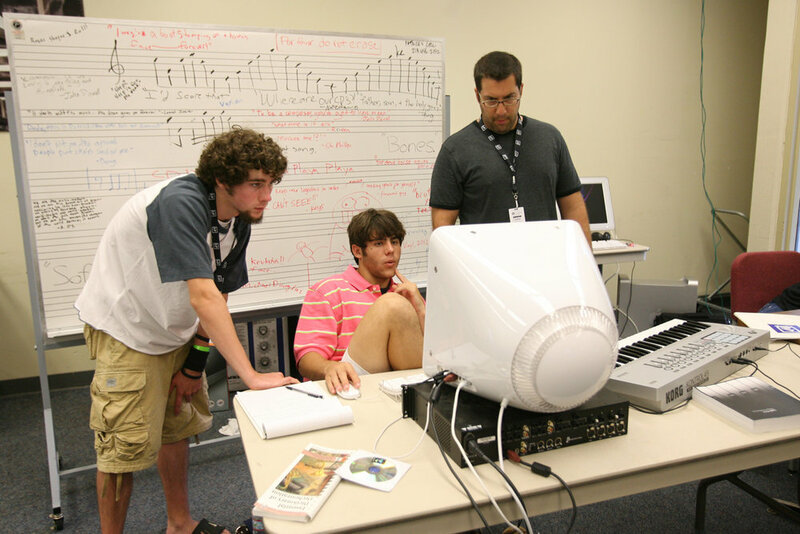 Composer/Mentor Christopher Lennertz discusses instrumentation options with Film Scoring Campers. Jovial moment with Robert Kraft, Mike Knobloch, Christopher Lennertz and Film Scoring and Video Game Music Campers. Renowned classical and film composer - Theodore Shapiro discusses his creative process with Mike Knobloch and Campers. 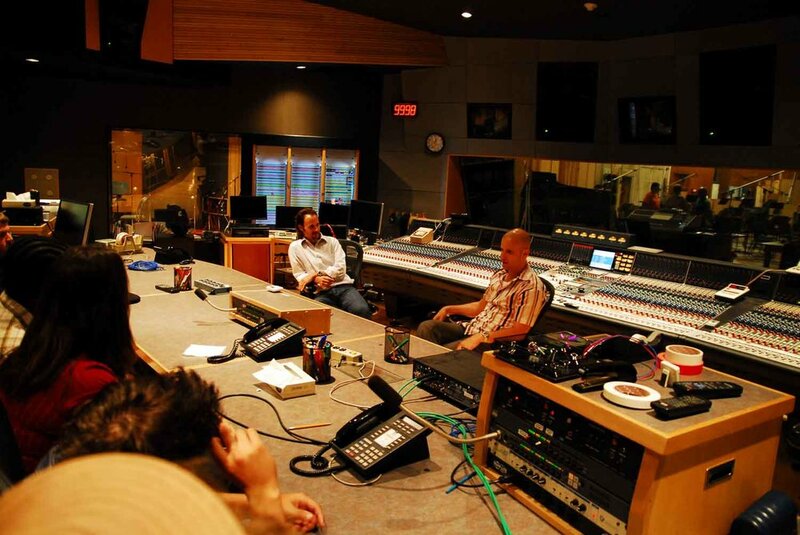 Peter Rotter aligned the best music industry studio musicians for the live recording sessions. Rotter discusses procedures with Camper instrumentalists that will perform side-by-side with the professional musicians on every cue. Support and encouragement for young women composers was key when developing this experience. From the Newman Scoring Stage mixing board looking out into the large room as Camper conducts her score to XMen. GRAMMY Winner Leslie Ann Jones mentors the Audio Engineering Campers during the sessions to learn the nuances of recording, mixing and mastering. Original digital score combined with live orchestra. Every Camper conducted their own score on the Newman Scoring Stage. Campers were given 20 minutes to rehearse, conduct, listen back, refine and do several takes of their cue. Composer Christopher Lennertz reviews the score with a Camper to make an alteration during the live session. Video Game Music and Film Scoring Campers were coached with conducting tips to improve their experience in the studio environment. Professional studio musicians and GRAMMY Camp instrumentalists complete the live orchestra ensemble. Unprecedented opportunity to learn from the best. Learning about cartage, efficiency and communication in the percussion section. Alex Iles has been a colleague since he first coached my high school jazz ensemble at Disney Magic Music Days in 1989. He played on every one of my orchestral sessions and thrilled he brought his trombone skills for the three years of this Career Track. Camper instrumentalists and composers take a break to discuss their experiences during the scoring sessions. Mike Knobloch demonstrated the most earnest cooperation and dedicated his expertise for years to the initiative. Campers lives and mine are better for it.